The UK’s Financial Conduct Authority (FCA) issued a warning to the public today against another broker it calls a clone firm. The regulator says FTradition (or Forex Tradition) is passing itself off as a member of the Tradition Group, an international group of brokers that is FCA authorised. In December 2014, the Netherlands Authority for the Financial Markets (AFM) also issued a warning against the unlicensed Seychelles broker. The Dutch financial watchdog warned European investors not to respond to offers from Ftradition as the company is suspected of being a boiler room. A boiler room, the AFM explains, is a collective term for fraudulent individuals and organizations using “clever salespeople” to call potential investors to pressure them into buying shares that promise high returns (cold calling). Sri Lanka has shared more information with India on the billions of dollars that its new government alleges members of the previous regime headed by Mahinda Rajapaksa had stashed abroad, to support the island nation's request for New Delhi's help to set up a Financial Intelligence Unit to trace the money. During his India trip earlier this week, new Sri Lankan President Maithripala Sirisena told the Indian leadership about accounts in tax havens such as the St Martin Islands, Hong Kong, Macau and Seychelles where he claimed much of the money had been moved to, government officials privy to the discussions told ET. Sirisena also informed Prime Minister Narendra Modi and other Indian leaders about investments that were allegedly made by the Rajapaksa family in real-estate projects in Dubai, Uganda and Kenya, the officials said. The World Bank has expressed its support to the investigations being carried out by Sri Lankan authorities into many suspicious financial transactions that had taken place between several Sri Lankan nationals and the Seychelles. Deputy Foreign Minister Ajith P. Perera said that he had met the acting ambassador of the Seychelles in Sri Lanka Condret Meridet, where the Acting Ambassador had expressed his full support to the investigations as well. Previous reports had claimed that several deals made by former President Mahinda Rajapaksa with the Seychelles are suspicious in nature. In response, the government of Seychelles announced that it would also support in the investigations if a formal request is made by Sri Lankan authorities. Talks are underway with consultants of the World Bank to bring back to Sri Lanka money that was deposited in the Seychelles by the Rajapaksa family, deputy minister of Policy Planning and Economic Development Harsha de Silva said. 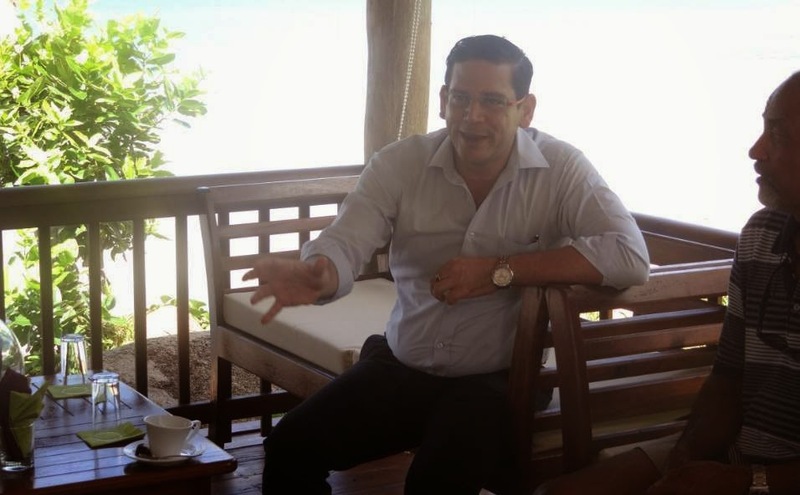 In an interview with the BBC’s Sinhala service Sandeshya, De Silva said the money had been invested in illegal ventures. “Anyone knows that the Seychelles is a place where black money is turned into white money. Although the population there is just 60,000, there are over one hundred thousand enterprises. It means one person has two or three business ventures. This is because there is one business inside another business. To get back the money taken away from Sri Lanka we are seeking the services of consultants of the World Bank. We are currently holding discussions with them. We hope to seek the assistance of India to bring back to Sri Lanka the stolen money and hunt down the culprits”, said De Silva. NEW DELHI: India will help Sri Lanka set up a finance intelligence unit (FIU)-like entity in the island nation at Colombo's request to trace more than $5 billion allegedly stashed overseas by the erstwhile Rajapaksa regime. President Maithripala Sirisena is moving to fulfill electoral promises to check corruption and repatriate money allegedly siphoned off abroad by Mahinda Rajapaksa, who ruled Sri Lanka for a decade, and members of his family, government sources told ET. The new Lankan regime has informally approached the Narendra Modi government to assist in setting up the body, sources said, adding that a formal proposal could be expected soon. The finance ministry will share its best practices with Colombo to set up the unit, which could be modelled after the Indian body, the sources indicated. "We could help close neighbour Sri Lanka with capacity building exercise regarding FIU," said an official familiar with the process.